I am reproducing the portion of COMCASA from my paper. Though no doubt that Indo – U.S relations have improved considerable since the cold war days, there are number of issues which need to be addressed to take the relationship forward. These are sensitive in nature and would required highest forms of diplomatic tight rope working, sagacity and maturity. Trade. While the United States and India have made tremendous strides on defense cooperation and counterterrorism efforts, that progress has not translated into smooth and successful trade relations. India's exports to the US in 2016-17 stood at $42.21 billion, while imports were $22.3 billion. India has taken steps to increase imports from USA which helped narrow the gap by over $1 billion last year. India will be importing oil worth $2.5 billion from the US this year. As China and the US pursue development of unmanned underwater drones, the Indian navy is also adjusting its strategy to include autonomous vehicles in its armoury against China’s growing undersea footprint in the Indian Ocean Undersea warfare has come to the surface after the South China Morning Post reported on Beijing’s development of giant, smart, cheap unmanned submarines. The “sea bots”, operated by artificial intelligence, are intended to perform tasks as diverse as reconnaissance, mine placement and making self-destructive attacks. They are now undergoing testing at a facility in Guangdong province, and will be part of a network of manned and unmanned assets tracking rival submarines in the world’s oceans. China isn’t alone in its quest for undersea dominance. Last year, the United States commissioned its first-ever squadron of unmanned underwater vehicles, or drones, and contracted top defence firms to produce a new generation of such machines. It aims to enhance its combat potential, including in anti-submarine, mine clearance and even counter-underwater drone operations. The world’s top oil buyers are discovering that U.S. sanctions on Iran will squeeze their trade flows whether they agree with America or not. It was only about three months ago that India’s foreign minister said that the country won’t adhere to unilateral restrictions and will continue buying Iranian crude. China also made similar comments and was said to have rejected an American request to cut imports. Japan and South Korea have held talks with the U.S. aimed at securing exemptions. Yet for all the pushback and negotiations, an emerging pattern shows U.S. sanctions are succeeding in throttling Iran’s sales to its customers even before the measures take effect in early November. While America initially wanted a complete halt in purchases, traders are now concerned that even a revised aim for only cuts would take out enough supply to create a market deficit — which other producers may struggle to fill. The two-plus-two dialogue between the US and India is scheduled for September 6 in New Delhi. Talking at an event at the Carnegie Endowment for International Peace on the forthcoming meeting in late August, Randall G. Schriver, US assistant secretary of defense for Asian and Pacific security affairs, said "China and how to respond to it will be front and center" of the dialogue. Despite the two-plus-two dialogue being postponed unilaterally twice by the US citing "unavoidable reasons," the world has witnessed positive development in the US-India strategic partnership. Washington declared New Delhi a "major defense partner" in May, which puts India on a par with the closest allies and partners of the US. The same month the Pentagon renamed the Pacific Command the Indo-Pacific Command, signaling the growing importance of India to the US. Since January, the Indian rupee has tumbled more than 9 percent, hitting a new all-time lowof about 70 to the dollar in mid-August. The fall has caused much hand-wringing in the media and in policy circles, where observers lament the currency’s status as Asia’s worst performing, charge Prime Minister Narendra Modi with economic mismanagement, and fret about India’s ability to pay its debts. Calls for the government to do something—anything—to stop the rupee’s slide abound. But should India’s central bank, which has responsibility for managing the exchange rate, reverse the fall? My short answer is: no. On Sept. 1, days before U.S. Secretary of State Mike Pompeo and Chairman of the Joint Chiefs of Staff, Gen. Joseph Dunford, were due to arrive in Islamabad, a Pentagon spokesman announced that the department of defense intended to permanently cut $300 million from funds allocated to support Pakistan in the fight against America’s enemies in Afghanistan. So does this mean America and Pakistan are finally breaking up? The short answer is no. As much as both states are fed up with each other, they remain far too co-dependent to simply walk away. What we are seeing instead is a tough and protracted re-negotiation over the terms of the relationship. The question of Pakistan’s role in Afghanistan is not necessarily the hardest issue; there might even be convergence given the greater realism in Washington, Rawalpindi, and Islamabad. KABUL — A top leader of an insurgent group affiliated with the Taliban, who was once an ally of the United States and later became one of its fiercest opponents in Afghanistan, has died, the Taliban announced Tuesday. The radical Islamist group said in a statement that Jalaluddin Haqqani, leader of one of the most effective militant networks in Afghanistan, “passed away after a long battle with illness.” It did not specify a time, place or cause of death. He reportedly was afflicted with Parkinson’s disease and had been paralyzed for a decade. Haqqani “was ill and bedridden for the past several years,” the statement said. He was believed to be in his late 70s. His sons long ago took over the day-to-day running of the group known as the Haqqani network, and at a time of increased Taliban attacks on the government, his death is expected to have little impact. Beijing's central planners are aiming to use China's Belt and Road Initiative to dominate the next wave of wireless technology by becoming the global leader in the development of 5G networks. The 5G standard represents a quantum leap over today's wireless technology by providing lightning-fast connectivity and better bandwidth. It is the essential infrastructure for the internet of things, which will drive the next phase of the digital economy. Beijing is pouring billions of dollars into 5G, which is also part of the "Made in China 2025" technology master plan that has raised concerns about China's ambitions in U.S. President Donald Trump's administration. By intervening in Syria, annexing Crimea, and sustaining military presence in Eastern Ukraine, Russian President Vladimir Putin seems to have overextended himself. With an annual growth rate of just 1.5%, Russia is now expending 5.3% of its GDP on its military budget, while losing another 3-4% to legal, civilian, and other costs. STOCKHOLM – Wars are expensive, as the Russian people are now learning. The Kremlin is pursuing military adventures in Eastern Ukraine and Syria, and though these conflicts are limited in scope, one wonders if the country can really afford them. As the word’s 11th largest economy, Russia can manage in the short term. But the long term is quite another matter. From 2008 to 2016, Russia increased its military expenditures from 3.3% of GDP – which roughly corresponds to the current US level – to 5.3%, according to the authoritative Stockholm International Peace Research Institute. With the help of markets and the state, technological innovations such as electrification and the steam engine have periodically transformed the economic system from which they emerged. But never before has a technological revolution defined the entirety of economic, political, and social life – until now. History shows that the interactions between a mission-driven state, financial speculators, and the market economy – what I call the Three-Player Game – can marshal the funding needed to drive technological innovation beyond the frontier of visible economic value and commercial exploitation. Over time, the fruits of such innovation have transformed the market economy itself. As more than 40 African heads of state arrived at the China-Africa Cooperation summit Monday, one figure stood out: $60 billion. That's how much additional funding Chinese President Xi Jinping promised the continent as the two-day summit got underway. And all of Africa is competing for it — except for one country: Swaziland, an absolute monarchy that has in recent months renamed itself eSwatini. The tiny kingdom was absent from this week's Africa summit and appears to have no plans of attending anytime soon. It's the last African nation that still recognizes Taiwan as an independent country, much to the dismay of the Chinese leadership in Beijing, which considers Taiwan to be a wayward province. The threat of violent extremism is evolving. However, significant knowledge gaps continue to pose obstacles to those seeking to prevent and address it. Join the U.S. Institute of Peace and the RESOLVE Network for the Third Annual RESOLVE Network Global Forum on September 20 to explore new research angles and approaches for prevention and intervention of violent extremism in policy and practice.Members of a peace march walking to Wardak, Afghanistan, from Ghazni. (Jim Huylebroek/The New York Times) As the territorial hold by violent extremist organizations diminishes, new problems are emerging as these groups evolve and others seek to manipulate governance and security vacuums to spread their warped mission to new populations and locations. To effectively address dynamic global trends, policymakers and practitioners require a holistic understanding of the nature of violent extremism at both the global and local level. New research explains why the United Kingdom has been experiencing historically low productivity growth and what can be done to return to long-run averages. Declining labor-productivity growth characterized many advanced economies after a boom in the 1960s, but since the mid-2000s that decline has accelerated. Against that backdrop, the United Kingdom stands out as one of the worst productivity performers among its peers. Its absolute level of productivity has persistently ranked toward the bottom of a sample of advanced economies. Moreover, in the aftermath of the crisis, the United Kingdom, along with the United States, recorded one of the lowest productivity-growth rates and steepest declines in productivity growth, falling by 90 percent. Between 2010 and 2015, UK productivity growth flatlined at 0.2 percent a year, far below its long-term average of 2.4 percent from 1970 to 2007. 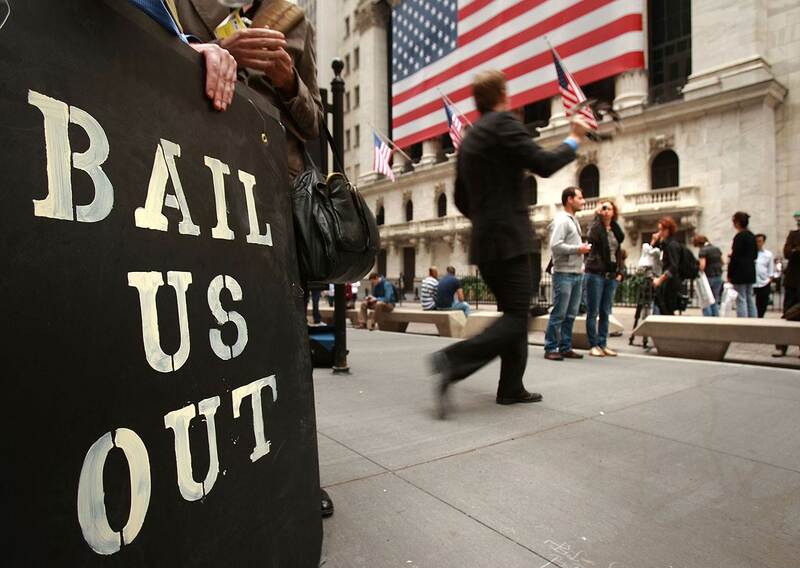 Ten years ago, there was panic in Washington, DC, New York City and financial centers around the world as the United States was in the midst of an economic collapse. The crash became the focus of the presidential campaign between Barack Obama and John McCain and was followed by protests that created a popular movement, which continues to this day. On the campaign trail, in March 2008, Obama blamed mismanagement of the economy on both Democrats and Republicans for rewarding financial manipulation rather than economic productivity. He called for funds to protect homeowners from foreclosure and to stabilize local governments and urged a 21st Century regulation of the financial system. John McCain opposed federal intervention, saying the country should not bail out banks or homeowners who knowingly took financial risks. Echoing conservatives like John Taylor, the Nobel laureate economist Joseph Stiglitz recently suggested that the concept of secular stagnation was a fatalistic doctrine invented to provide an excuse for poor economic performance during the Obama years. This is simply not right. Joseph Stiglitz recently dismissed the relevance of secular stagnation to the American economy, and in the process attacked (without naming me) my work in the administrations of Presidents Bill Clinton and Barack Obama. I am not a disinterested observer, but this is not the first time that I find Stiglitz’s policy commentary as weak as his academic theoretical work is strong. After more than four years of constant combat, the artillery still thunders daily in Ukraine’s eastern Donbas region along the 250-mile-long, entrenched front lines of Europe’s only ongoing land war. There, Ukraine’s military remains locked in combat against a combined force of pro-Russian separatists, foreign mercenaries, and Russian regulars. For years, the physical effects of the war have remained more or less geographically quarantined to the Donbas battlefield. 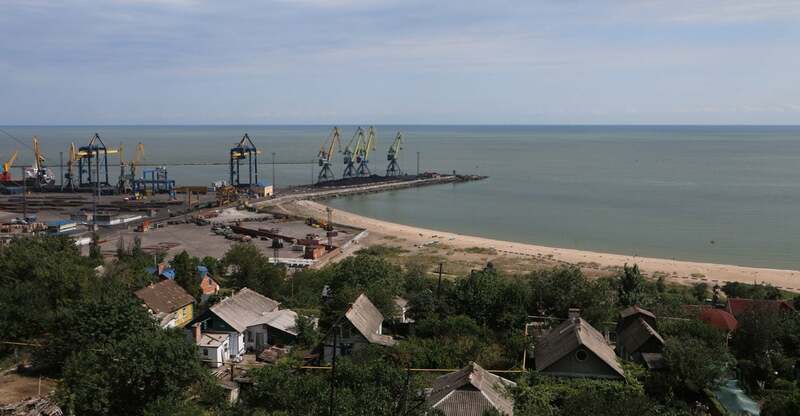 This summer, however, Russian naval forces have stepped up their harassment of Ukrainian merchant vessels in the Sea of Azov, effectively blockading the body of water through which roughly 80 percent of Ukraine’s exports pass. That question is once again at the center of the country’s public discourse amid the violent protests that followed last week’s brutal killing of a German man, allegedly at the hands of two Muslim refugees, and the publication of a new book titled “Hostile Takeover, how Islam halts progress and threatens society.” On Saturday, about 11,000 people (8,000 right-wing and far-right protesters and about 3,000 anti-Nazis, according to police estimates) took to the streets of the eastern German city of Chemnitz, where the killing occurred. Eighteen people were injured, including a TV reporter who was thrown down a flight of stairs. There is nothing inevitable about democracy. For all the success that democracies have had over the past century or more, they are blips in history. Monarchies, oligarchies, and other forms of authoritarian rule have been far more common modes of human governance. The emergence of liberal democracies is associated with ideals of liberty and equality that may seem self-evident and irreversible. But these ideals are far more fragile than we believe. Their success in the 20th century depended on unique technological conditions that may prove ephemeral. Private security firms are working with US law enforcement and intelligence professionals to integrate downloadable software products able to access, investigate and ultimately thwart criminal and terrorist activity on the Dark Web. Described as exploited areas of the “deep web,” the part of the web not indexed by search engines, the “Dark Web” often affords bad actors an opportunity to engage in money laundering, human and drug trafficking, illegal business transactions and many other activities known to inhabit the dangerous nexus between transnational crime and terrorism. Emerging technology can now synthesize elements of various available products such as a free software called TOR -- a product designed to enable anonymous communication directing traffic through a network of more than 7,000 relays. Thanks to the data the tech giant collects in order to sell ads, Google has a wealth of information on you — from what you look like to where you live and where you’ve traveled. The corporation may even be able to guess your favorite food. Just how does Google know all of this? 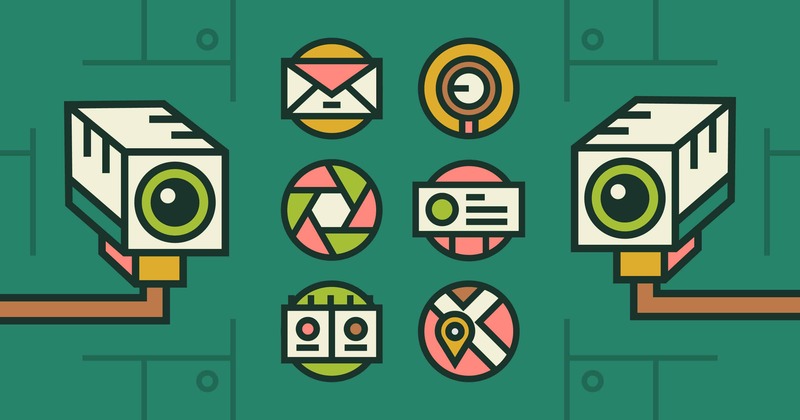 Jump to our infographic for a quick overview of everything Google knows about you, or check out our full guide by clicking on the icons below. Although “Google it” has officially entered the cultural lexicon, the mega-corporation is much more than a search engine. It’s through its apps, internet-related services, acquired companies and more that the technology company collects data on you. Below, we’ve broken down the most common app, product or service Google uses to track data, as well as an overview of the specific data collected. Amazon’s $1tn valuation marks the latest chapter in an astonishing story of growth for Jeff Bezos, the world’s richest man. Amazon has become the second company to be valued by Wall Street at $1tn, a matter of weeks after Apple reached the milestone first. On Tuesday, a rise in the share price of Amazon, which is listed on the Nasdaq stock exchange in the US, briefly took it above the trillion-dollar watermark for the first time. Crossing the $1tn threshold marks the latest chapter in an astonishing story of growth for the company, founded by businessman Jeff Bezos in Seattle in 1994. Less than 25 years later, Amazon has garnered a major presence in everything from retail, to groceries, to video streaming, helping it rack up revenues of $178bn (£139bn) last year. On July 20, 1969, a Purdue graduate from Wapakoneta, Ohio, stepped onto the surface of the moon. I watched it on a black-and-white Zenith television sitting on the floor in the den of our New England farmhouse with my two brothers. That den was not a big room, and the television was wedged between the fireplace and the family bookshelf. In the next room, under windows that looked out on a hedge of lilacs, was a stereo—a solid wooden cabinet the size of a dining-room sideboard. On its turntable we set a fragile arm with its embedded needle into grooves on black vinyl disks and listened to Broadway show tunes. On the wall in the kitchen in the next room was an avocado green telephone with a rotary dial and an extra long cord so that my mother could talk on the phone while doing dishes. I question whether the Army even values strategic thinkers. I did not participate in the whiteboard exercise because I was not aware of it, but if had, I would give the US Army a “D-”. The military leadership we need is one that can deal with the strategic issues of the First World and the asymmetric challenges of the Third World. Our future success in large wars and in small wars will be dependent on leadership and their ability to think strategically, adjust and change the institution, improve interoperability among services and Special Operations, and discontinue petty differences for the greater good. The second reading I did that influences this paper is the article informing us that Congress is poised to pass the most sweeping reforms to the military’s officer promotion system in almost four decades. The bill aims to make military promotion boards place more emphasis on merit and job performance which is needed, but the recommended changes will not change education, develop senior leader strategic thinkers, improve talent management, improve senior leader selection, and address the mediocrity problem. There is change needed and it will have to be legislated because the services will not change without it.